There are many, many games that won’t make this list, including all games that I’ve designed or published (that doesn’t seem fair, so they’re not eligible) and even some of my favorite gaming experiences (Risk Legacy, Near and Far, Pandemic Legacy, etc). Moving off the previous list are several games I still adore, but they’re just not quite in the top 10 right now. Honorable mentions for various reasons are: Ora et Labora, Blokus, Patchwork, Tzolk’in, Celestia, and Telestrations. I’ve highlighted the 5 games that are new to the Top 10. This was a tough one to add to the list, not because I’m not super excited to play it again, but simply because it’s so new to me. I’ve only played twice, and those games happened earlier this week. However, I can’t deny that I had a blast, and I love every aspect of this cooperative dexterity game. I’ve loved this heavy Euro game for a long, long time, and I’m still eager to play it. I think I’ll always consider it one of my favorite games, even if I’m not as eager to get it to the table as I once was. It’s amazing how satisfying this game is despite taking only about 45 minutes. I love “I cut, you choose” mechanisms, and this game does it better than almost any other. Clank is one of those games that I almost forget how fun it is until I actually play it again. It’s pure fun distilled into a deckbuilding-with-a-board game. I go back and forth on Terraforming Mars being on the Top 10 versus the honorable mention, simply because it can run a bit long for my tastes. But I really, really love engine building, and Terraforming Mars does it better than almost any other game. This is one of several 2-player games on this list, as I’ve had more opportunities to play them this year. I love the decisions in 7 Wonders Duel, particularly since every card you select opens up 1 or 2 cards for your opponent. This game completely took me by surprise. It’s yet another “I cut, you choose” game on the list, and it’s only for 2 players. It teaches and plays quickly, and it leaves me wanting more every time. Who would have guessed that a 20-year old game using a mechanism (hidden movement) I rarely enjoy would be so high on the list? I just can’t deny that I have a blast every time I play this. I love how streamlined it is, yet every decision matters. As noted in the preface, I excluded several one-off games from the list despite how much I love them. I’ve made an exception for TIME Stories because I continue to be enamored with it every time a new module is released. The king is still the king. This is the final “I cut, you choose” game on the list, and it’s the best of the best. I love every moment of this game, win or lose. I’m really looking forward to playing a number of games for the first time later this year, including The Expanse, Pandemic Legacy Season 2, The 7th Continent, The Palace of Mad King Ludwig, First Martians, and many others. This entry was posted on Thursday, August 10th, 2017 at 10:19 pm	and is filed under favorites and tagged with board game. You can follow any responses to this entry through the RSS 2.0 feed. Great list, as always, and I’m happy to see I’ve played a good number of these with you! I do a similar ranking every 6(ish) months with the help of a site that has you go through many, many different comparisons. As luck would have it, I just did mine earlier this week. 9. Great Western Trail – This one grew on me from being kinda “meh” to really taking me by storm. 8. Scythe – A light little game you’ve probably never heard of. 7. Star Wars: Rebellion – Even though I haven’t played it in almost a year, I still love it and can’t wait to play again. 6. Viticulture – I’m not sucking up, I swear. 5. The Gallerist – To be honest, this one and Viticulture are really quite neck-and-neck. 4. Star Wars: Armada – I realized the other day that someone just took my childhood experience of playing with little plastic spaceships and slapped some rules on it. 3. Star Trek: Customizable Card Game – It’s old, clunky, grew too big, and no one plays it anymore, but goodness I love it. SO thematic. 2. Star Trek: Ascendancy – Almost Star Trek in a box. 1. Star Trek: Fleet Captains – Actually Star Trek in a box. If someone would try to create the perfect game for me, they wouldn’t be able to because this game exists. Thanks for sharing your list, Jeff! There are some great games here. I can’t tell if you like Star Trek or not, though–it’s not obvious from your list. Interestingly, not one is on my list, and I’ve only played Terraforming Mars from your list. I like the concept of Terraforming Mars, but my thoughts on the game are shared by the guys from Shut Up, Sit Down. Far too much time staring at my own board, fiddling with cubes and cards, and far less time actually doing anything on Mars. 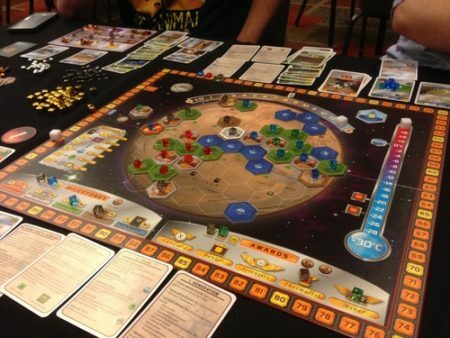 For a Mars-themed game, Martians: A Story of Civilization is far and away a much better game. Thank you for sharing your list, Joe! I enjoy a lot of the games on your list. Really glad to see this list, as I enjoy knowing what some of the games someone like you enjoys playing. 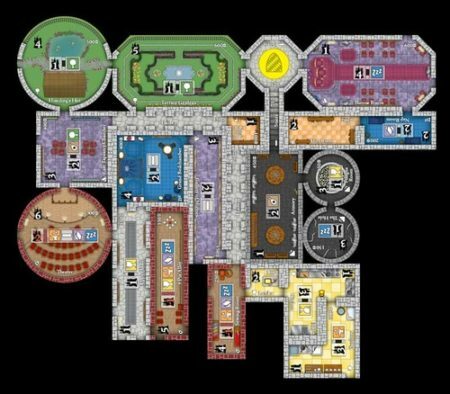 If we ever met at a Con, I’d totally be up for a game of Castles of Mad King Ludwig. I really enjoy that one, and still need to try Isle of Skye out. Maybe I can convince someone to bring it to the local FLGS game day this weekend. I also need to try Terra Mystica and Clank! 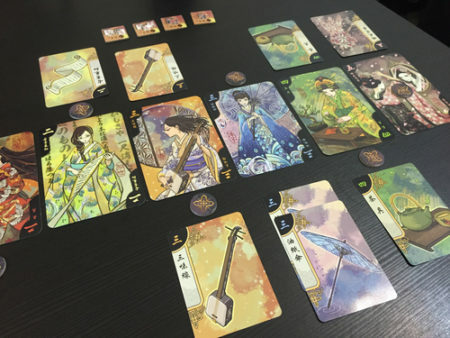 I’ve played Hanamikoji only once so far but fell in love with it from that one play. I’ve had it on backorder at my FLGS since that night, and we’re now almost four months later and still waiting for a copy to get in. If you like Ludwig, I think you’ll also really enjoy Isle of Skye (and like Ludwig, it’s really easy to learn). I hope you get your copy of Hanamikoji soon! Seems like we like very similar games, Jamey! There are a few of the same games in my top 10 and I do also rank 7 Wonders: Duel, Isle of Skye, and Terraforming Mars very highly. 7 Wonders is a bit of an odd man out but it was the game that brought me into the hobby so there is bit of nostalgia bias in its ranking! Thank you for sharing your list, Charles! I’m honored to see a few games of mine on there. 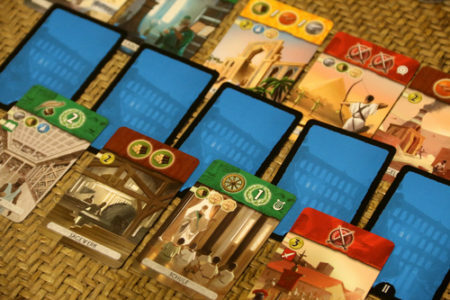 I really enjoy 7 Wonders too–it could easily make my list, as I’m always happy to play it. I made a top 9 when that trend was happening a few months ago and I think it may have changed a little bit. I have a couple in common with yours and the ones of yours I’ve never played are very high on my list to try and being on your top 10 makes them even higher. So here we go…PS I didn’t rank my top 9 because other than my number 1 I didn’t want to think that hard about it but now it’s fun to think through a ranking. 1. 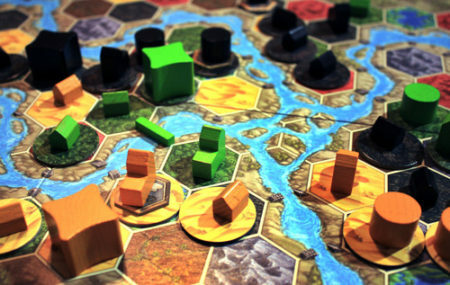 Terra Mystica – Yup, my #1 of all time Nothing beats it in purity, nuance, and replayability for me. Not to mention components and graphic design…just gorgeous. Timeless. 2. Eldritch Horror – I just have so much fun playing this game. 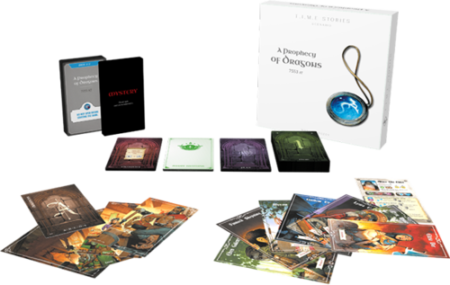 With all the expansions at this point there is SO MUCH replayability with so many investigators, ancient ones, prelude cards, and adventures you never get the same game twice. Anything and everything can happen and every expansion makes it better. 3. 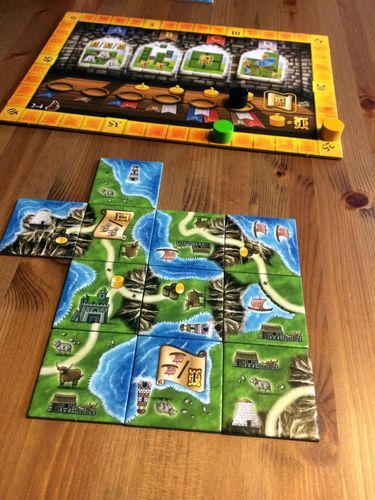 INIS – I will play this any time. Not only is it good but it is quite easy to teach and start playing. I liken it to chess in that strategy is extremely tight and you have to constantly be aware of your opponents status as well as your own. It’s so tense and strategic with a tighter push and pull feel than anything I’ve ever played. I wish it got a little bit more love. 4. 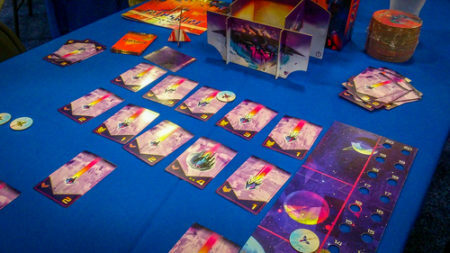 Mission Red Planet – I put this pretty high because it is such a wonderful game on all fronts. Easy to teach, fun and pleasing to the eye theme, plays up to 6 in a very reasonable time frame, a wonderful balance of strategy, fun, and accessibility. Almost anyone can play it. 5. Viticulture – This is my first proper worker placement if you don’t count things like Bora Bora which use dice as the workers), but proper meeple workers being put on action spaces. I love the innovations it brings to the genre as well as how the mechanics tie in with the theme. I have yet to get Tuscany which, if it makes it as much better as everyone says, this is going to rise even higher. 6. Terraforming Mars – I’m kind of a sucker for space and sci fi themes and particularly Mars. This game is great and I agree what you said about what a great engine builder it is. As the game advances and things ramp up it’s just so exciting. And the real science on the cards paired with nerdy references on the flavor text just make this so good. I’m also a sucker for moving cubes around apparently. 7. Lords of Vegas – This is Vegas in a box. Every game starts off calm and thoughtful and by the end people are taking huge risks to take over the largest casinos because that’s the only way to get points in later game and it just makes for so many exciting things. Two games ago, I was rolling one die against 1 person with 3 and another with two. 5 was their highest roll. I rolled my one and it was literally spinning for like 5 seconds and dropped on a six! BOOYA! Of course someone reorganized next turn and I lost it again but who cares it was worth every penny! 8. 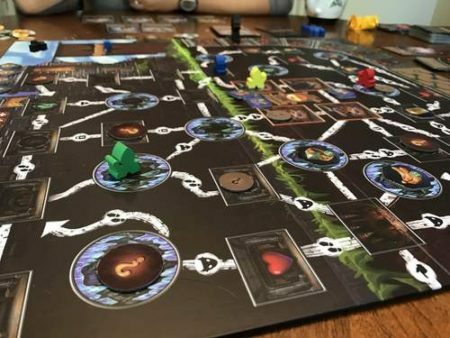 Ghost Stories – I haven’t played this game nearly as much as I want but whenever I look at it on my shelf, I wish I could pull it off at that moment and play it. Because it’s solo it’s possible whether anyone else is around or not but I don’t have a huge amount of time for games so I’m often experiencing new ones when I do have time. But this game is just my favorite “tower defense” or co-op survival game I have. So hard but beatable and so good. Plus just BEAUTIFUL to look at. I haven’t played the White Moon expansion since I got it, but am looking forward to breaking it out. 9. Firefly the Game – I don’t know if this will remain on my top 10 or not. I haven’t played it enough even though I have all the expansions. It’s just so beautiful and so dripping with Firefly that I love it. 10. I didn’t have a 10 before so I have to think of one now. This is where it gets hard because a lot of games at this point I have pretty equal love for. Scythe, Space Hulk: Death Angel, Tiny Epic Galaxies (with beyond the black), Splendor. All different types that I like for different reasons. If I played Scythe more it would probably be higher. Really looking forward to Wind Gambit! Space Hulk does SO MUCH such a small package. It is Aliens in a tiny box. TEG is just genious and the expansion just made i better. Splendor is the first game my wife tried that she really wanted to repeat more than others. So while I enjoy it as a game it’s not a favorite because of itself but because of how it gets my wife to the table more and it can be played with just about anyone. Phew…Thanks for giving me the opportunity to express all this. I’ve been wanting to make some vidoes for each of these and now I have a head start! Also, honorable mention would be two games that I have yet to play through a whole game but I think would be on here if I had. Android the Board Game and Fury of Dracula. Got to be Dracula my first time last week and it is SO FUN. Playing again this wednesday hoping to finish the game this time. Just a phenomenal thematic and fun game. 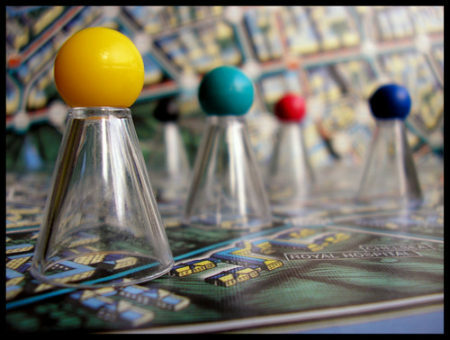 Android the Board game just gets me with the theme and story. Mechanically people have complaints but for me it’s all just the experience. It’s so rich and the stories that evolve on each investigator’s plot cards are all interesting. But it’s so long, I haven’t completed a game the times I got it to the table. Shane: Thank you so much for sharing your list and your thoughts on all of these games! I really need to try Lords of Vegas now that you’ve spoken so highly of it. It’s kinda what Monopoly should be. And it has the coolest scoring mechanic where after you get your first 10 points, you then need a minimum of 2 points for your score to get higher. So if you only have 1 point casinos, you now must have two point casinos to advance. This is what forces everyone to fight over ownership of the largest casinos eventually. It’s such a cool mechanic and almost always controls a run away player. I hope you enjoy it as much as I do! Forgot to say after a few of those spaces requiring at least two points to go higher, then you need 3, etc etc. Have you played Clank In Space? What do you think of it compared to base Clank. Also, thanks for mentioning Scotland Yard. Never heard of it, but I’ve been looking for a hidden movement game to play with my kids, and this is perfect. Also trying to find Pyramid (Fluch der Mumie) for my kids. I finally played it this last weekend. 🙂 It was a little odd, because technically it is a more refined game than Clank…but I have more fun with Clank. I hope you like Scotland Yard!